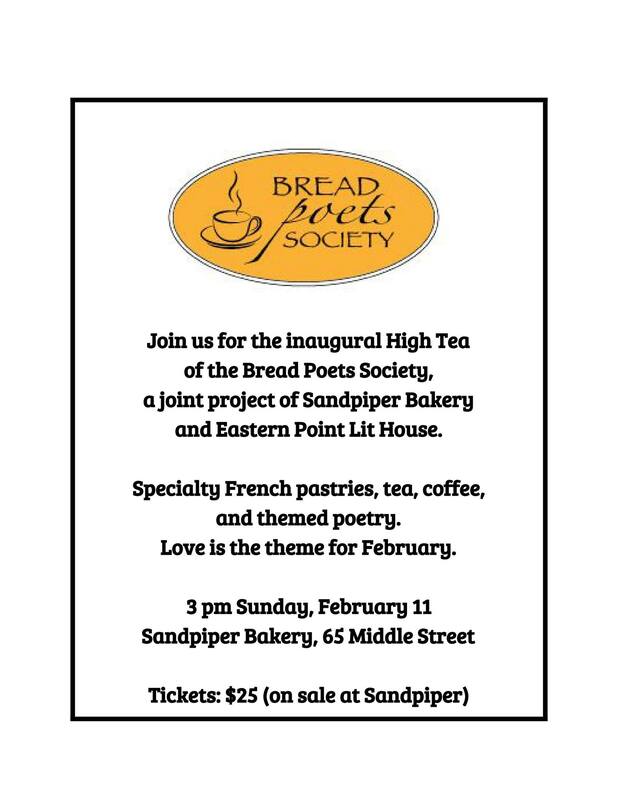 Naturally Love is the theme for February, the first month for Bread Poets Society Monthly Poetry and High Tea gatherings @SandpiperBakery by Eastern Point Lit House. Philip Storey set up shop last week to spread the word. 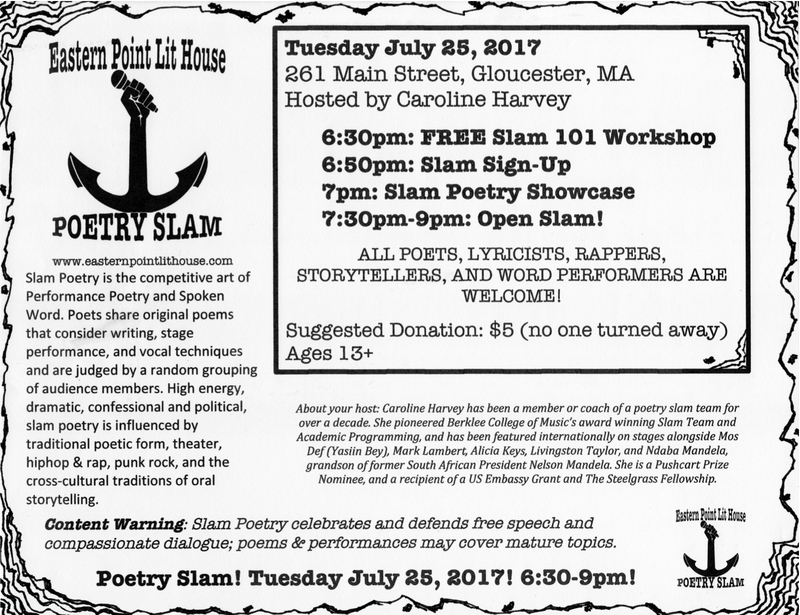 SANDPIPER BAKERY AND EASTERN POINT LIT HOUSE JOIN FORCES TO BRING THE “BREAD POETS SOCIETY” INAUGURAL EVENT! 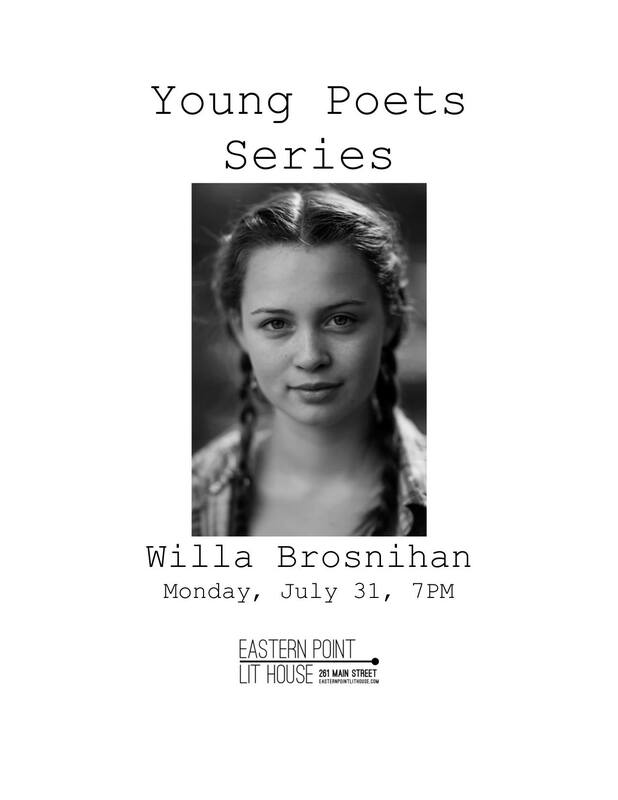 YOUNG POETS SERIES AT THE LIT HOUSE FEATURING WILLA BROSNIHAN! 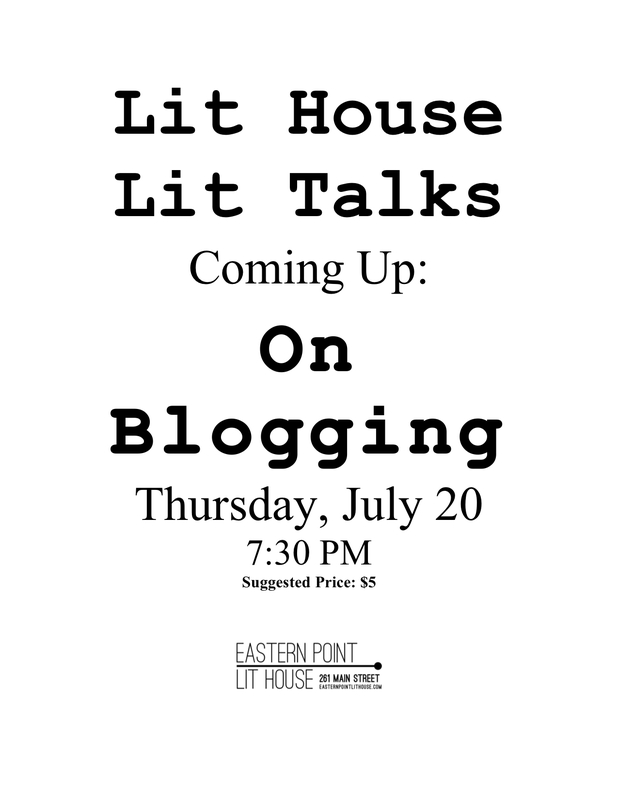 LIT HOUSE LIT TALKS TONIGHT! 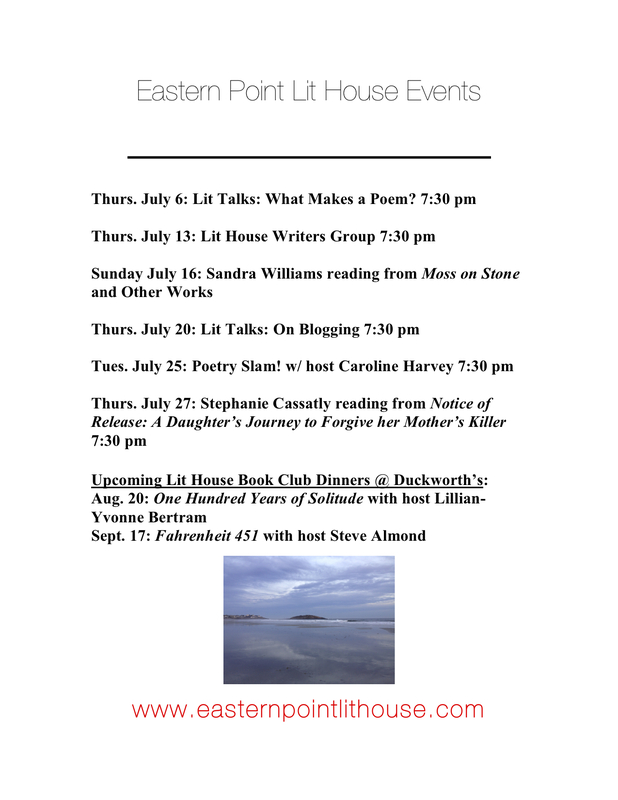 Two weeks ago Eastern Point Lit House kicked off a new bi-weekly series called Lit House Lit Talks, informal discussions covering a wide variety of writing related topics. 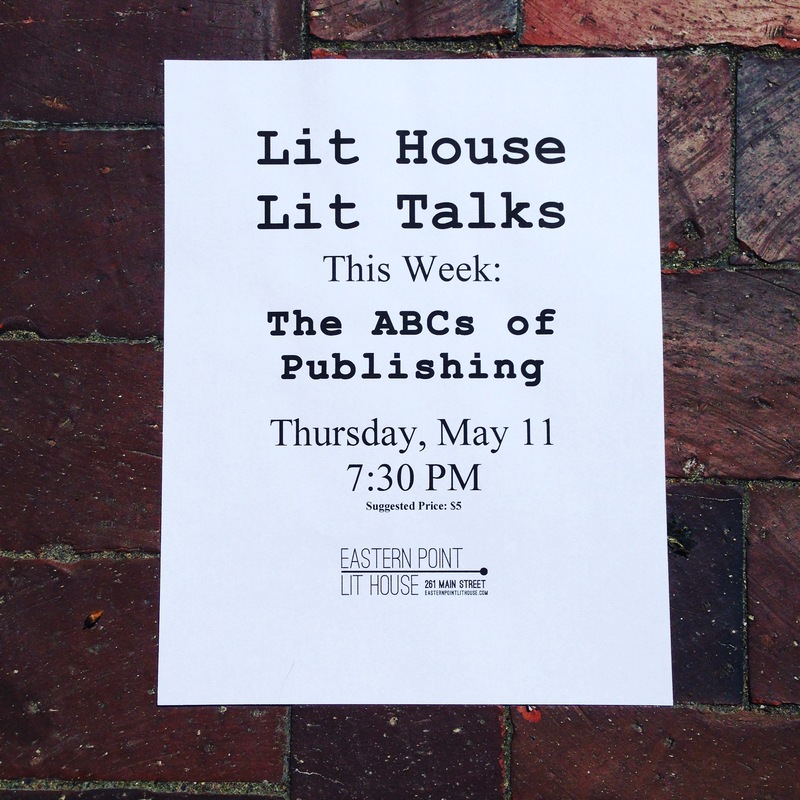 This week we’ll be discussing The ABCs of Publishing. 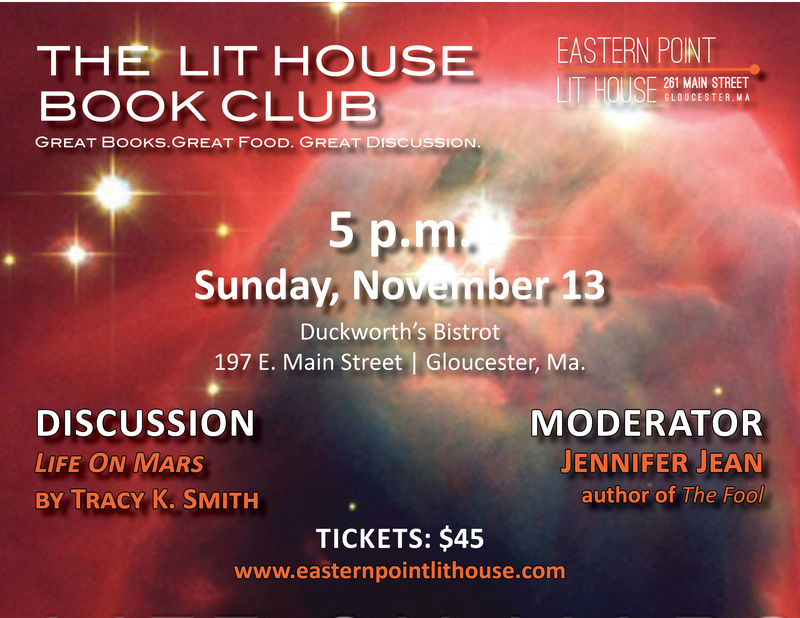 We had a lot of fun at our first discussion, and are hoping to draw even more folks this time around. Fresh from a National Academies of Sciences talk and before taking flight to the Indiana Dunes Birding Festival (hyperlinked because I know you’re going to want to Google it), multi award-winning author Deborah Cramer will give a lecture about the making of the Narrow Edge on Thursday May 4th from 7-8:30PM at Sawyer Free Library, 2 Dale Avenue, in her hometown, Gloucester, MA. 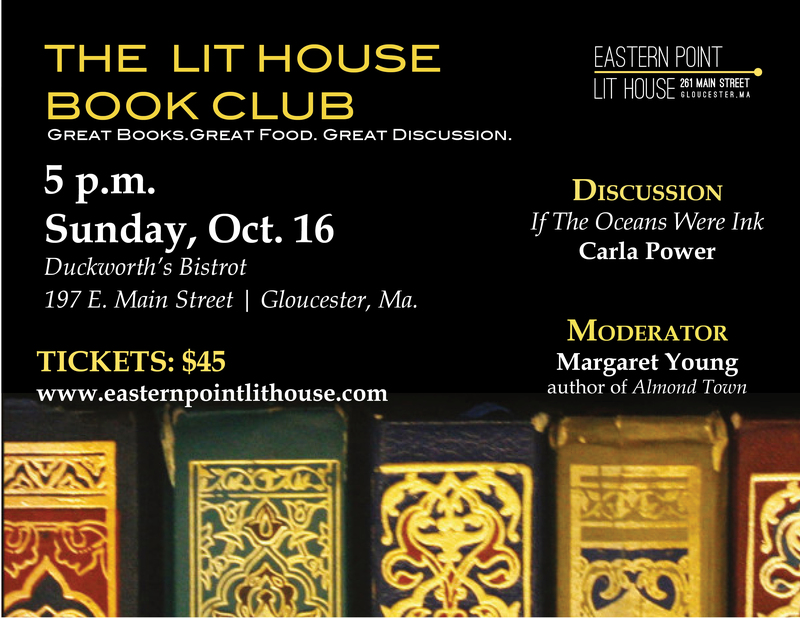 The talk is sponsored by the library, Eastern Point Lit House, Kestrel, and The Gloucester Writers Center. 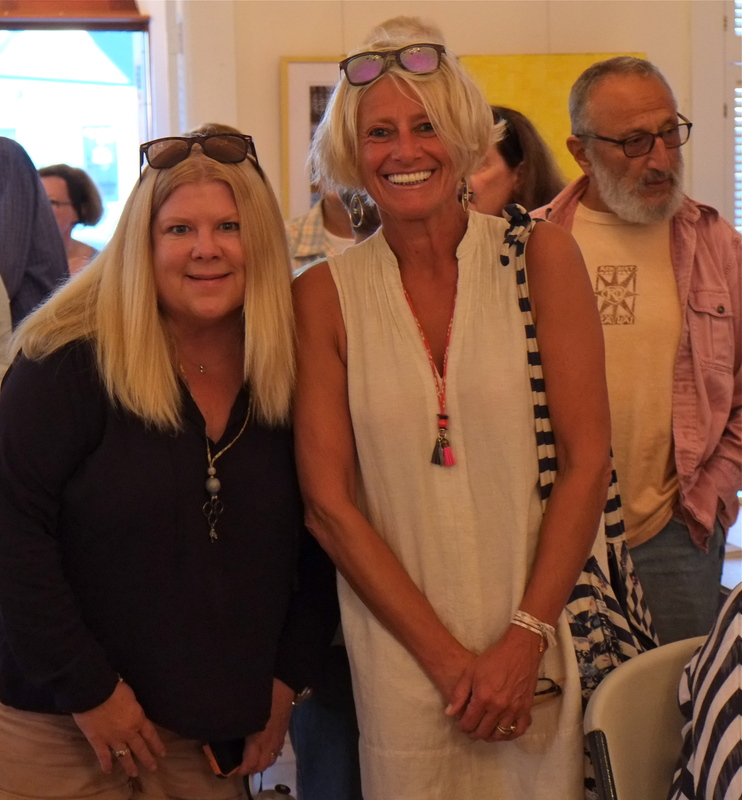 Red knots and horseshoe crabs–and Deborah Cramer— inspired artists Susan Quateman, Michael DiGiorgio, Janet Essley, Patty Hanlon, and George Textor. 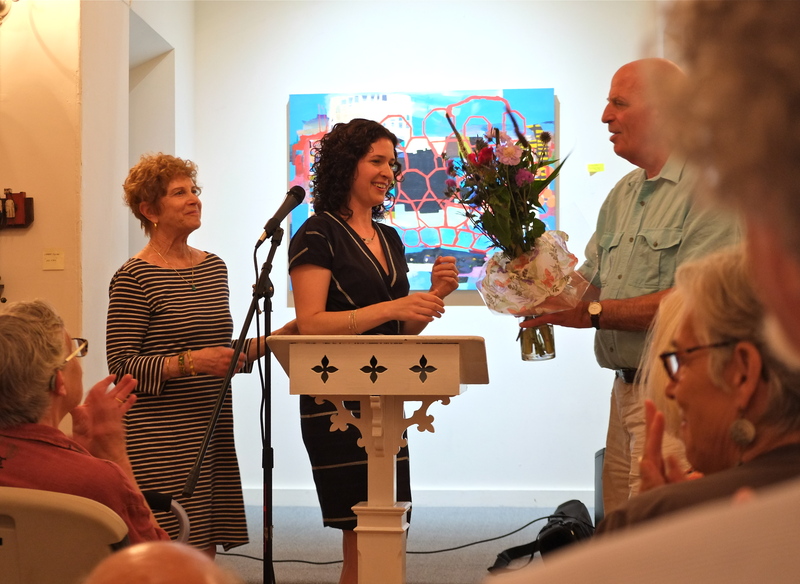 Their art is featured in a special group exhibit in Sawyer Free’s Matz Gallery alongside photographs from Cramer’s journey. As far as architecture, identity and culture go, a gallery threshold for a library in Gloucester is pretty perfect. 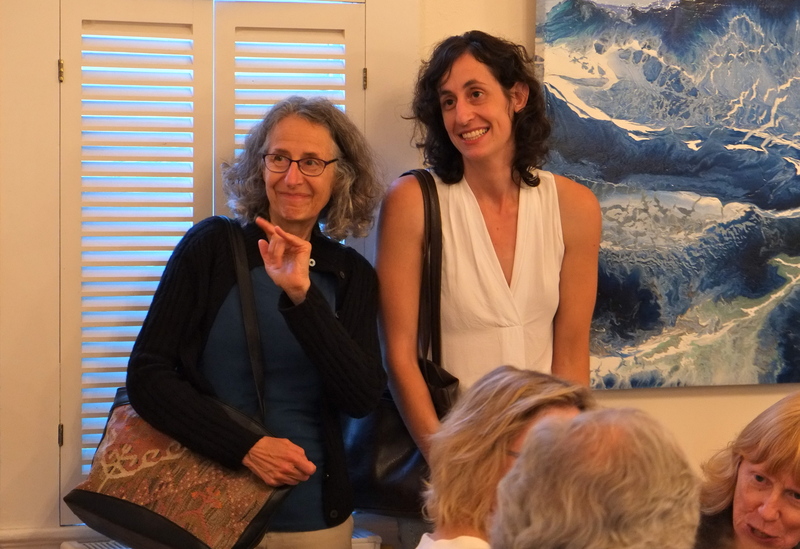 Susan Quateman writes about her “silk paintings, horseshoe crabs and red knots: Lee Steele, Susan’s 91 year young silk painter friend and former Folly Cove Designer, gave her horseshoe crab shells she’d found on Folly Cove 25 years ago. They’re no longer found there. 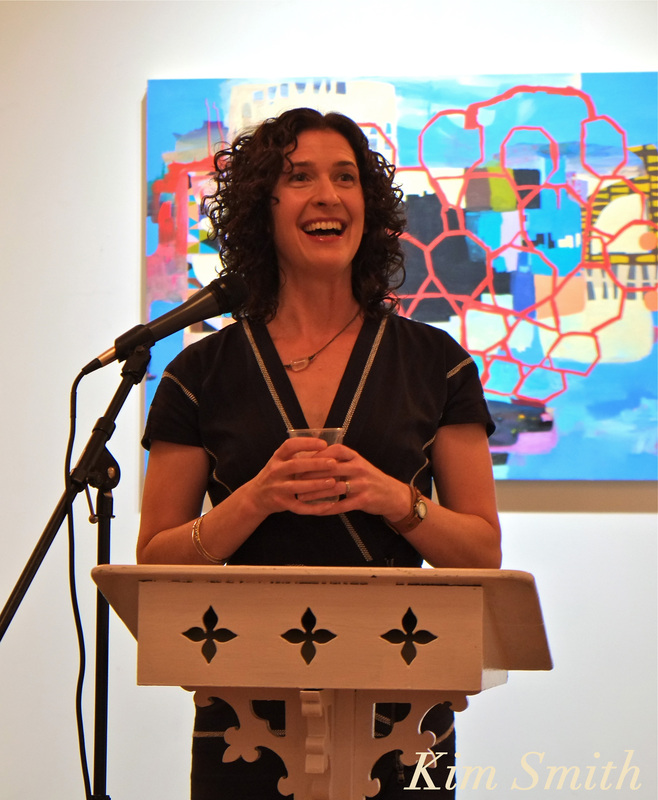 Susan used them as models to interpret with Jacquard dyes on silk, and painted the red knots from photographs.” Quateman’s Narrow Edge series premiered at Cedar Tree Gallery in Essex. 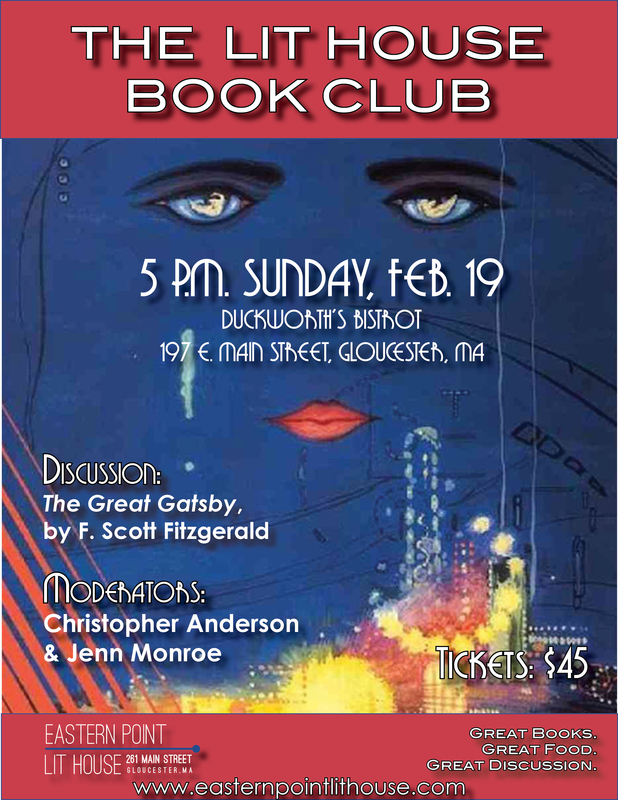 THE GREAT GATSBY AT THE EASTERN POINT LIT HOUSE DUCKWORTH’S EVENT! 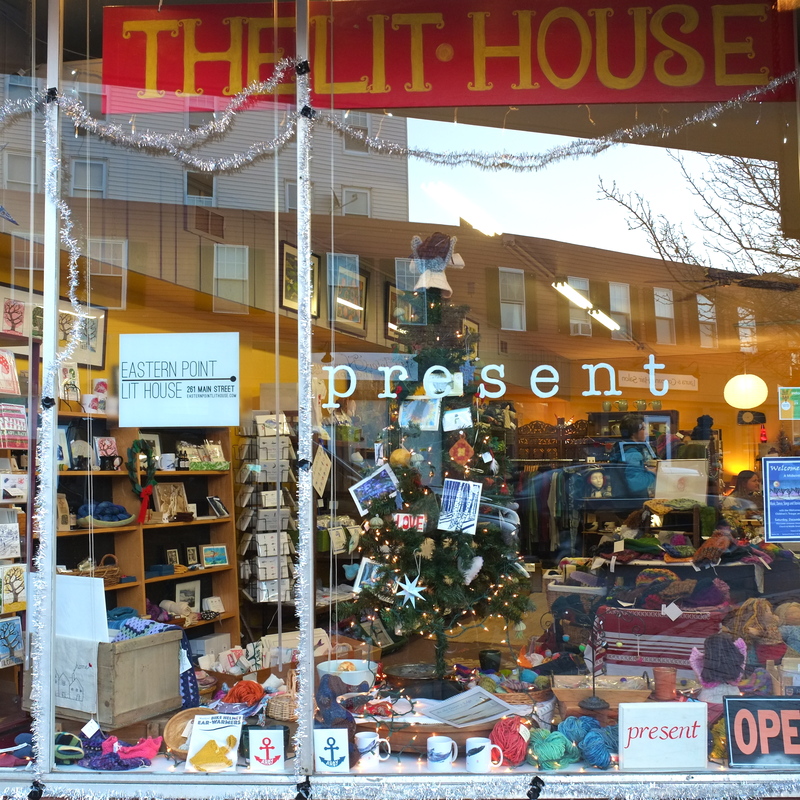 At the pop up shop Present Gloucester, this year conveniently located within the Eastern Point Lit House, you’ll find a wealth of gifts for everyone on your holiday gift-giving list. 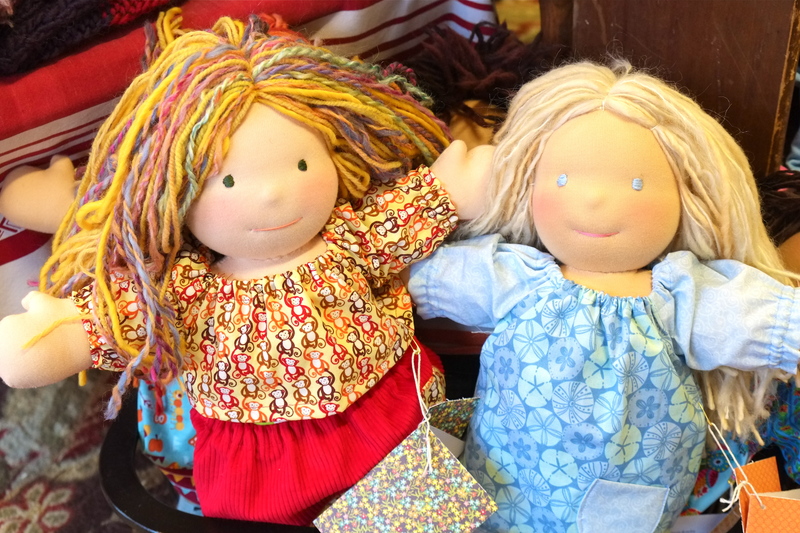 Every present is handmade by local artists and artisans. 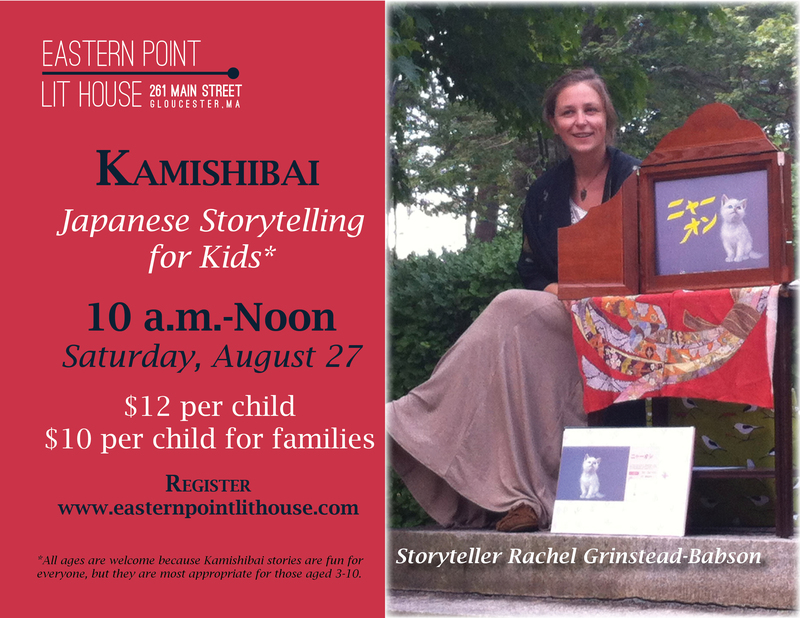 Prints, paintings, garments, dolls, angels, jewelry, photos, toys, yarn, ornaments, pottery, and much more–too numerous to name all here. The photos only show a small sampling of the treasure trove of gifts you’ll find at Present Gloucester. 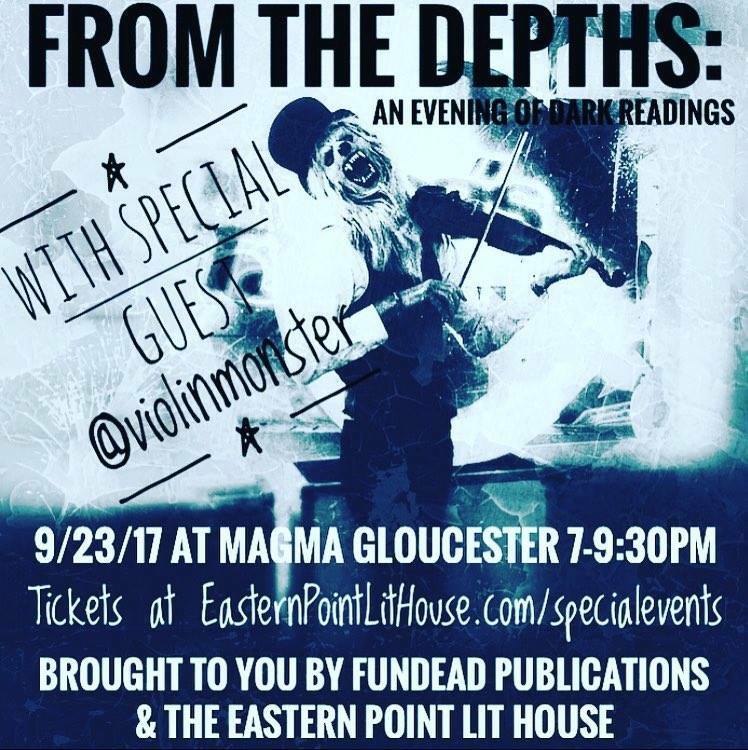 Present Gloucester is located at 261 Main Street, Gloucester. 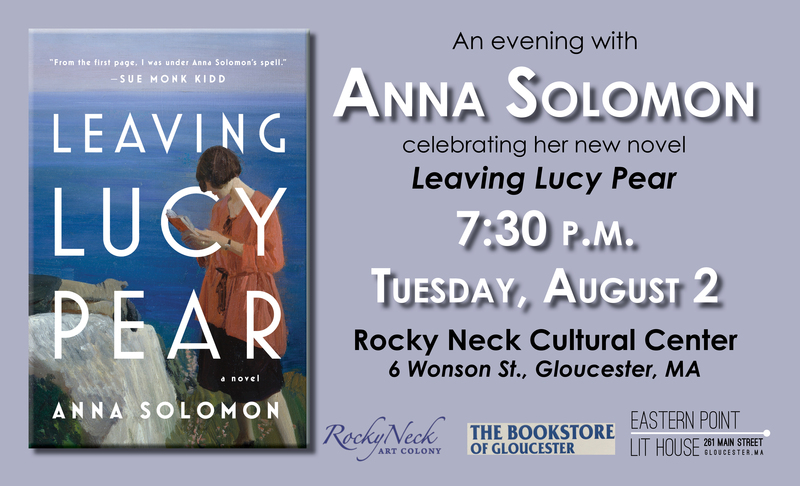 For more information, visit the Present Gloucester Facebook page here. 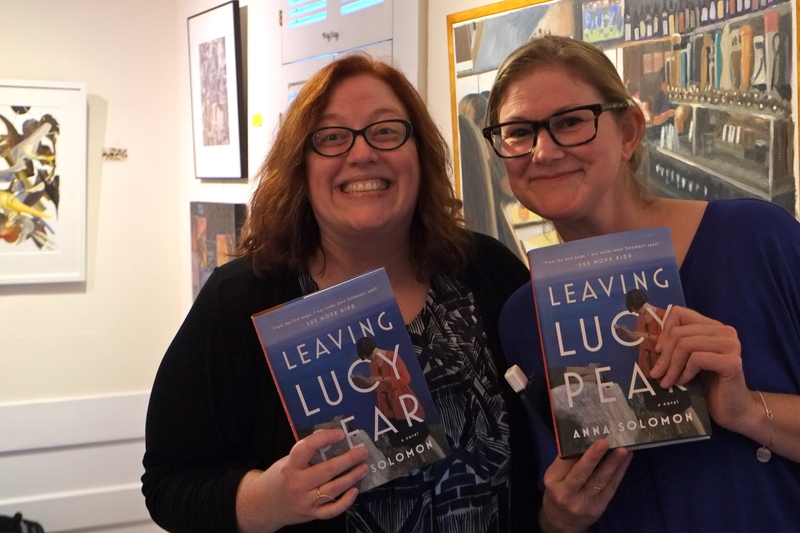 Lucy Pear is the fictional heroine of Anna Solomon’s newest novel Leaving Lucy Pear. 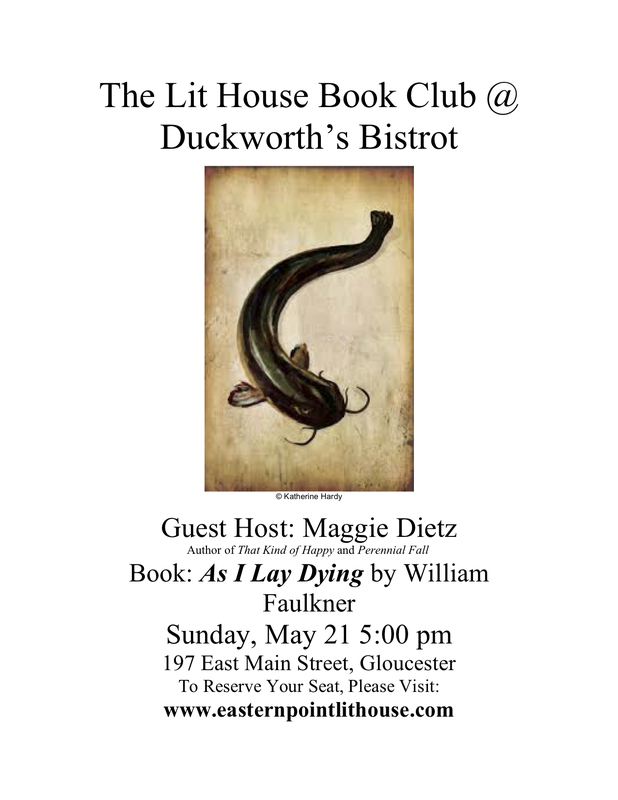 Copies are available at the Bookstore of Gloucester and Toad Hall Bookstore. 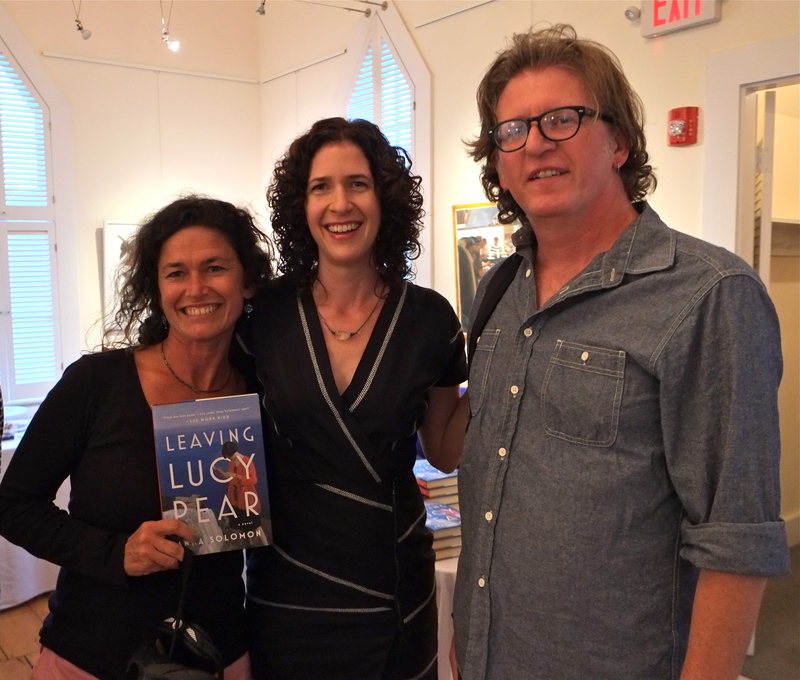 Read more here about Leaving Lucy Pear and about Anna’s three upcoming Cape Ann author events.